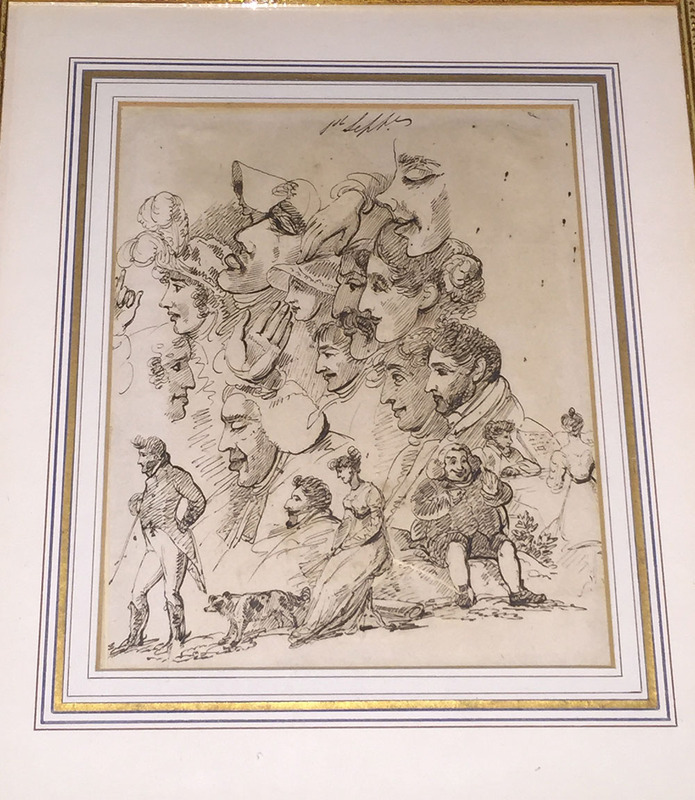 Whimsical turn of the 19th century original ink drawing of British figures and faces. Image Size: 7″ x 8 1/2″. In two sided gilt frame with other sketches on reverse.